1. 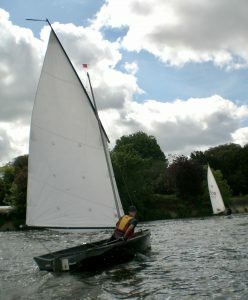 The Club shall be called the Strand on the Green Sailing Club. and community participation in the same. and three other members. Any four Committee members shall form a quorum. and may or may not be members of it. become Commodore for two years and then Vice Commodore again for one year. a significant obstacle to people participating. refusal or removal may be made to the members. be entitled to vote at General Meetings. sailors. Social Members shall not be entitled to vote at General Meetings. 12. Honorary Members shall be elected by a unanimous vote at a General Meeting. Honorary Members shall be entitled to vote at General Meetings. discussed and Club events suggested and organised. or profits are reinvested in the club. any loss or damage to the vessel howsoever caused. before accounting for the balance (if any) to the member or former member. by the member or former member. trailer until such time as all monies due to the Club have been paid in full. to observe this rule shall render the member liable to loss of membership. the officer of the day in agreement with Committee members present. limit determined by the Committee. agreement of Committee members present. 31. Members shall be entitled to fly the Club Burgee. the website of the Information Commissioner (www.ico.gov.uk). 34. The Committee will then be responsible for the orderly winding up of the Club’s affairs. III. to the Club’s governing body for use by them for related community sports. New clauses November 2018 highlighted.